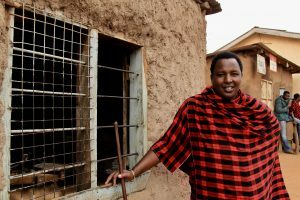 The Maasai-family of Salash welcomes you to their remote village, 2 hours from Arusha. The family will cook traditional food in their boma and make your stay unforgettable. Join them in their daily life and get a real understanding of the Maasai culture. 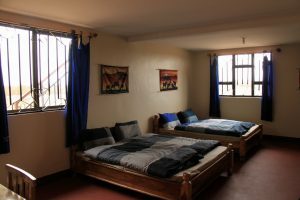 Your stay directly benefits the social projects in the area. Departure from Arusha at 9.00am at any day of your preference. On arrival, you can make yourself feel at home and enjoy a local lunch prepared by bibi, the grandmother of the family. After lunch, you will visit one of the women’s groups to learn more about their saving system and work they do. We will also go to the central borehole of the village, where you can help to fetch water. In the late afternoon, we will drive to a viewpoint where you can enjoy a sundowner while you enjoy the stunning view over Manyara and Tarangire National Parks. After this unforgettable sundowner, we return to the guesthouse and have a traditional home-made dinner. After dinner, you can relax at the fireplace or play a game in the living room. Wake up early in the morning to milk the cows with the women of the boma, a daily routine for all Maasai women. After, you will bring the kids to school and do your own shopping for breakfast in the village. Please note the school is closed during the weekends, so visiting the school is only possible during weekdays. After breakfast, you will have time for one more activity, which will be based on your personal interest. Your host Lengai can involve you in all kinds of activities related to daily life or one of the social projects of the village. You can think about visiting the health centre or helping the women’s group, all up to you! Please contact us for more information and price. 2 pax $ 215 p.p. 3 pax $ 160 p.p. 4 pax $ 130 p.p. 5 pax $ 125 p.p. 6 pax $ 115 p.p.